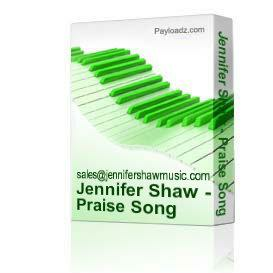 Buy and Download > Description This is the seventh track on Jennifer Shaw's 2008 children CD developed for the summer Vacation Bible School program at Faith Covenant Church http://faithcov.net in Columbus, Ohio. This fun, short CD with approx. 13 minutes of music teaches the importance of trusting God in all circumstances. Kids and parents alike will love the upbeat vocals and learn five Scripture memory verses along the way. A corresponding curriculum is also available at http://jennifershawmusic.com.